Bangor, ME – The Bangor Symphony Orchestra continues its season long celebration of the Leonard Bernstein Centennial with a program featuring selections from the composer’s masterpiece of operetta, Candide, on Sunday, April 7th. The concert’s first half will highlight diverse works by William Grant Still and Joan Tower, as well as a new piece by Lucas Richman. 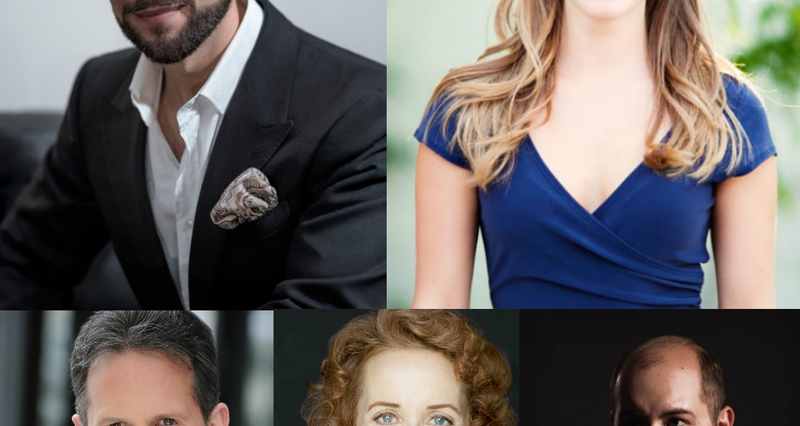 A stellar cast from the worlds of opera and musical theater will bring Candide to life, including Metropolitan Opera Artist Aaron Blake in the title role and Amy Maples as Cunegonde. Christopher Sanders (BSO’s Carmina Burana, 2014) and Kelly Lester (BSO’s Celebrating Women, 2017, and Penobscot Theatre Company’s Spitfire Grill, 2018) make return appearances, and tenor Boris Van Druff makes his BSO debut. The University of Maine Singers and Oratorio Society join in the collaboration, conducted by Music Director and Conductor Lucas Richman. Aaron Blake recently earned raves for his performance as Candide with the Atlanta Symphony Orchestra; in May, he appears with the Metropolitan Opera in Dialogues des Carmélites. This concert and related educational programming is made possible with the support of Deighan Wealth Advisors and the Davis Family Foundation. Cast members and Lucas Richman will be available for TV interviews at the Bangor Arts Exchange the morning of Friday, April 5. Please contact Brian Hinrichs at brian@bangorsymphony.org to schedule an interview, for additional comment, or for high resolution images.